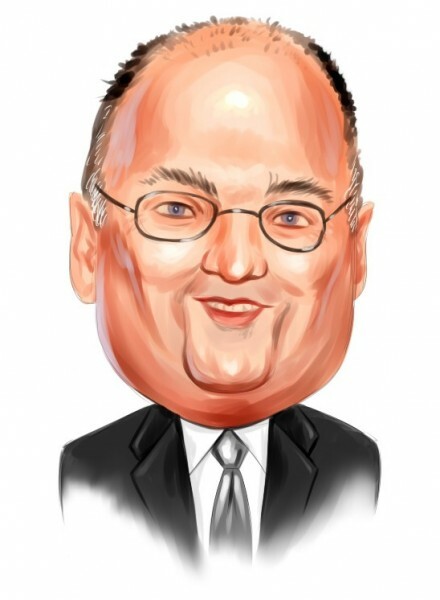 Steve Cohen’s Point72 Asset Management has initiated a new position in Inotek Pharmaceuticals Corporation (NASDAQ:ITEK). In a freshly-submitted filing with the Securities and Exchange Commission, the investment firm disclosed a 1.36 million-share passive stake in the company, which accounts for 5.2% of its outstanding common stock. In the meantime, Peter Kolchinsky’s RA Capital Management has reported a new passive stake of its own, in Aquinox Pharmaceuticals Inc. (NASDAQ:AQXP). RA Capital currently owns 1.03 million shares of the company, representing 9.6% of its outstanding shares. Point72 Asset Management LP is a family office that manages the assets of its founder, Steven A. Cohen, and other eligible employees. Point72 is considered the descendant of SAC Capital Advisors, Cohen’s hedge fund that stopped managing money for outside investors in early 2014 after charges of insider trading. Cohen’s long/short investment firm oversees a public equity portfolio worth $14.44 billion as of June 30. Just recently, Point72 also disclosed a 5.0% stake in another pharmaceutical company, Ironwood Pharmaceuticals Inc. (NASDAQ:IRWD). Inotek Pharmaceuticals Corporation (NASDAQ:ITEK) is a clinical-stage biopharmaceutical company that focuses on the discovery, development, and commercialization of therapies for glaucoma and other ocular diseases. Its lead product candidate, trabodenoson, is a first-in-class selective adenosine mimetic designed to restore the eye’s natural pressure control mechanism. The shares of Inotek have more than doubled since its IPO in February, mainly thanks to the announcement of a positive end-of-phase 2 meeting with the FDA earlier this summer. Subsequently, Inotek is working on the final preparations to commence its first Phase 3 trial to support a New Drug Application (NDA) for its lead product candidate. Just a few days ago, Inotek sold 5.4 million shares through a public offering at a price of $12.75 per share, as well as 810,000 greenshoe options that have been fully exercised by underwriters, raising approximately $79.2 million before underwriting discounts and commissions, and offering expenses. Following the public offering, Inotek currently has more capital to fund the continued development of its product candidates, which are expected to unlock a blooming revenue stream should the company’s Phase 3 study on its trabodenoson be successful. Matthew Halbower’s Pentwater Capital, a major shareholder of Inotek Pharmaceuticals Corporation (NASDAQ:ITEK) with 787,200 shares as of June 30, saw its stake in the biopharmaceutical company skyrocket in value after the aforementioned announcement of the positive meeting with the FDA.